The DF-50 diffusion hazer gives you safe, economical non-gylcol Haze without generating any heat. The unit uses a patented 3 step filtration system which breaks down the food grade mineral oil it runs off into uniform droplets 1 micron or less in size. This means the mist generated by the DF-50 diffusion hazer can only be detected visually having no unpleasant smell. So you won’t end up with smarting eyes or a sore throat as can be the case with other fog machines. It’s really easy and economical to run, and when operated according to manufacturers instructions can run for 35 hours on just 2 litres of fluid. It’s good to go straight from the box with no warm up period needed. 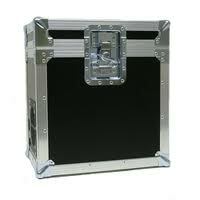 The DF-50 diffusion hazer unit comes in its own travel case, so it’s easy to set up and pack away. The patented fluid used it the unit leaves no residue, so nothing to clean up afterwards. Quick bit of maths please: required Please check your adding up. Total of 7 + 4 please. Quick bit of maths please: required Please check your adding up. Total of 4 + 9 please. Quick bit of maths please: required Please check your adding up. Total of 3 + 10 please. 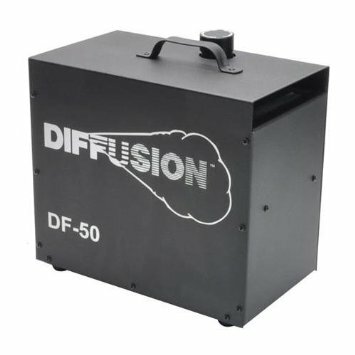 thanks for forwarding on information about the DF-50 Diffusion Hazer.